As your trusted local Mississauga mover, you can rest assured that King’s Transfer will move you and your belongings safely around town. Our Mississauga moving company uses clean trucks outfitted with all the necessary equipment to make sure your move goes exactly as planned. We use extreme care to load, transport, and unload your belongings, including moving blankets to protect furniture, plastic wrap to guard upholstered items, and all the tools necessary to dismantle and reassemble various pieces. When you settle into your new home, we’ll set up your furniture and place all of your boxes exactly where you want them. Our efficient and knowledgeable movers are here to help you get organized in your new space. King’s Transfer is fully insured to protect your belongings and to protect against property damage. All of our staff are covered by Worker’s Compensation Insurance Board. 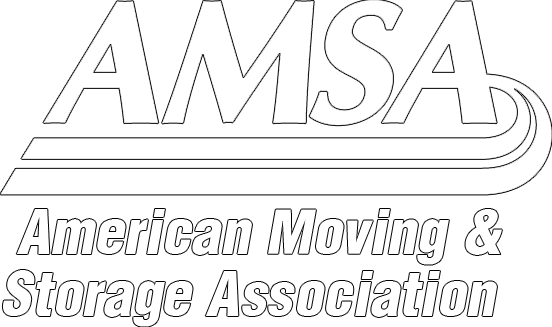 We’re a member of the Canadian Association of Movers, promote good business practices, and have an A+ rating with the Better Business Bureau! Located on the shores of Lake Ontario is Mississauga. This city borders Toronto and has a population of just over 700,000 people. It is the sixth most populated city in Canada. Still located close to Canada’s economic hub of Toronto, Mississauga boasts 60 of the Fortune 500 companies’ Canadian corporate head offices. The main industries relate to pharmaceuticals, banking, finance, electronics, and transportation. It’s home to over 18,000 companies who choose to base their business there because of increased space and lower real estate costs. Some of the primary employers include Air Canada, Bell Mobility, Xerox, and Microsoft. With plenty of green space, Mississauga is home to many parks. Visit the Rattray Marsh Conservation area or Jack Darling Memorial Park on a weekend afternoon to get some fresh air and soak in the amazing views. Walk along the Lakefront Promenade Park to take in views of Lake Ontario on a warm summer day. The Hershey Centre is Mississauga’s sports and entertainment hub and home to the Steelheads and Raptors. In downtown Mississauga, you will find Celebration Square. Many events take place here during both the holiday and summer season. Some of Mississauga’s best museums are within walking distance and include the Bradley Museum, the Leslie Log House, and the Benares Historic House. Mississauga has many wonderful suburban neighbourhoods that are much more affordable than its Toronto counterparts. Applewood offers mature trees and large lot sizes, while Rathwood brings you brick detached homes a quick subway ride away from downtown Toronto. Streetsville is located in the middle of the growing city and is known for its unique restaurants and shops. This village hosts many community events, making is a favourite among Mississauga residents. Because it’s almost 200 years old, this village has unique historical areas throughout its core. Other neighbourhoods in Mississauga include Central Erin Mills, Clarkson, and Lakeview. Central Erin Mills is a master-planned community, which was designed with curb appeal in mind. Throughout it, there are many schools and parks integrated. Lakeview is known for its convenient location and is currently undergoing a development plan that will largely transform the neighbourhood. MiWay is the name of the public transportation agency that serves the Mississauga area. 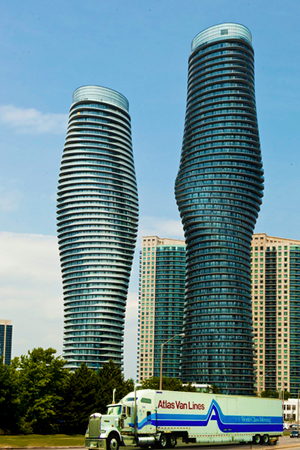 Mississauga is also a quick 40-minute drive away from Toronto via the Gardiner Expressway. Trust the experts for your moving services in Mississauga. King’s Transfer Moving and Storage provides local, long distance, and international moving services. Learn more by calling 1-800-267-2957 and request a free quote today! Our move from Brampton to Barrie was exceptional. Rodger and his crew were fantastic. They made our moving day easy and stress free. Please pass on our thanks for a job well done. We would definitely recommend your company to our friends and family. 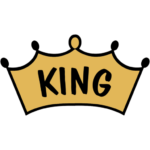 I just wanted to send you a quick note to let you know my move to Ottawa is complete and that I was extremely pleased with the service I received from King’s Transfer. Your moving team was very professional, hardworking, efficient and helpful. They worked very diligently to get all my personal property to my new address and they picked up items from my mother’s place as arranged. They were very cooperative. Everything went as planned. I really appreciate that. Also, dealing with you was a pleasure. You answered all of my questions and your pleasant and helpful attitude provided reassurance when I needed it! Thanks again to you and your entire team for a job well done. I will not hesitate to recommend King’s Transfer. Mississauga is Canada’s 6th largest city and home to over 60 Fortune 500 head offices. From its origins in the township settlements of Lakeview, Cooksville, Lorne Park, Clarkson, Erindale, Sheridan, Dixie, Meadowvale Village, Malton, Streetsville and Port Credit, the city has boomed and boasts sites such as the Pearson International Airport, one of the biggest airports in the world. Consider King’s Transfer Moving and Storage to be your neighborhood mover. We’re situated in the heart of Mississauga, just north of the City Center and City Hall. We’re close enough to be your best choice for a local move, yet capable of moving you to all parts of Canada, the USA, and the world.